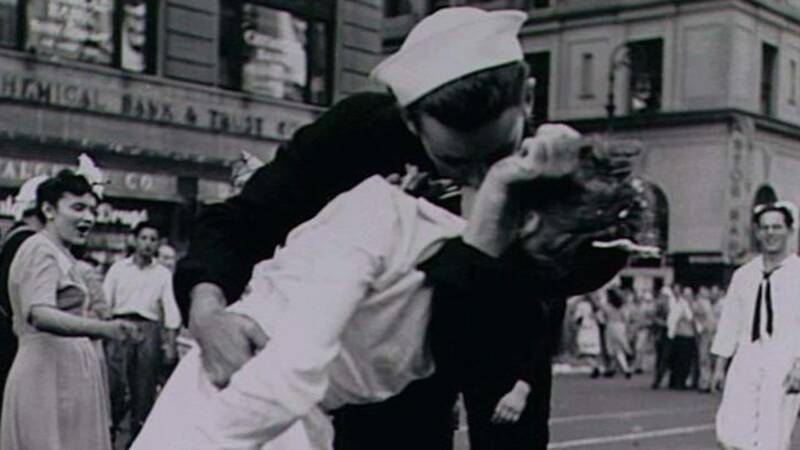 PROVIDENCE, R.I. - The ecstatic sailor shown kissing a woman in Times Square celebrating the end of World War II died Sunday. George Mendonsa was 95. Mendonsa was shown kissing Greta Zimmer Friedman, a dental assistant in a nurse's uniform, on Aug. 14, 1945. Known as V-J Day, it was the day Japan surrendered to the United States. People spilled into the New York City streets to celebrate the news. The photo by Alfred Eisenstaedt was first published in Life magazine and is called "V-J Day in Times Square," but is known to most as "The Kiss." It became one of the most famous photographs of the 20th century, and is a popular image used on posters.